There's been a long running argument in the Sony Fs7 community, regarding which flavour of Slog is the 'best'. I'm ashamed to say I've been a part of these arguments on a few occassions, and for my part I've always championed the use of Slog3, S-Gamut3.Cine. There are several reasons for this. 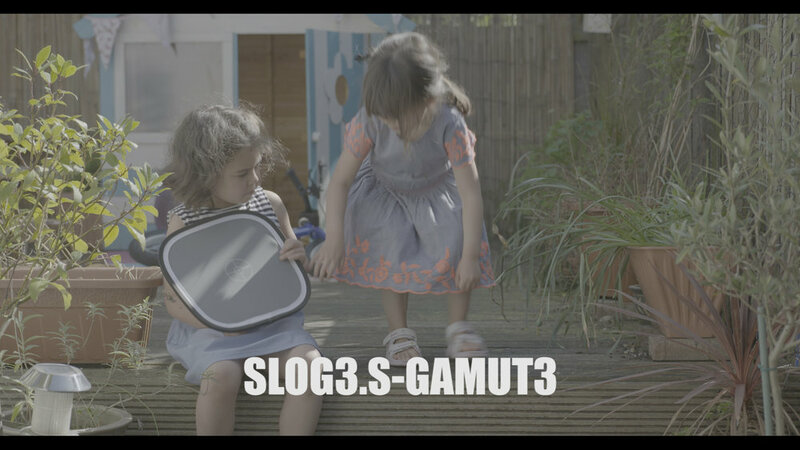 When I first got the camera, there was talk that the new S-Gamut3.Cine colour space was superior. It didn't have that Sony 'look'. It was closer to an Alexa etc etc. One DOP I know bought the camera based entirely on this colour space! Recently however I was put onto something interesting in Da Vinci Resolve. A DOP mate of mine Anthony Brown told me about Colour Space Transform (CST). I'm going to link to Anthony's video on how to do this at the bottom of the blog. With this technique you can essentially take any camera profile and convert it to something else. Slog2 to Slog3 for example. Or Slog3 to Arri CLog. I find this test interesting for several reasons. One is about bringing cameras to a standard in post. I recently shot a feature doc mainly on Fs7, but we do have a bit of footage shot on an Fs5 (Slog2) and some VLog stuff. The editor in this case is using ACES to standardise everything. ACES is great! But many find the workflow a little daunting. I'm not a grader, so I can totally understand the reservations of taking your project to ACES. For many of us, we love our LUTs! CST seems like a great, and easy, way to bring everything to that standard place. There's also the potential advantage of using a much larger colour space on your Fs7. 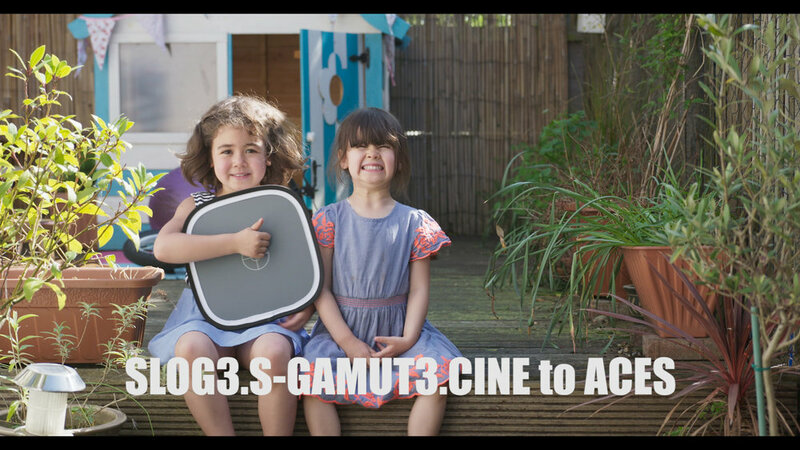 S-Gamut and S-Gamut3 are huge compared to S-Gamut3.Cine. Slog3.Cine was always sold to me as being 'user friendly'. A colour space that was easier to grade etc. When using CST or ACES, this just doesn't make sense. Why not use the larger colour spaces? Slog3.Cine will no doubt remain the 'standard', but I for one will be looking at shooting future projects that might require a heavier grade in S-Gamut3. Lastly. I think this method just looks better. Like many of us, I've been using the Bert LUT on just about everything. But I've had issues with it. Sometimes it does weird things to skin, or it makes everything a bit green. I think it has a definite 'look', which I'm not always crazy about. It's still a great way to quickly wrangle your Fs7 footage into a much nicer place - slap it on, job done! But for me personally, I think CST to Arri or ACES gives a much more neutral image with better colours all round. Here's all the stills, so you can compare for yourself. 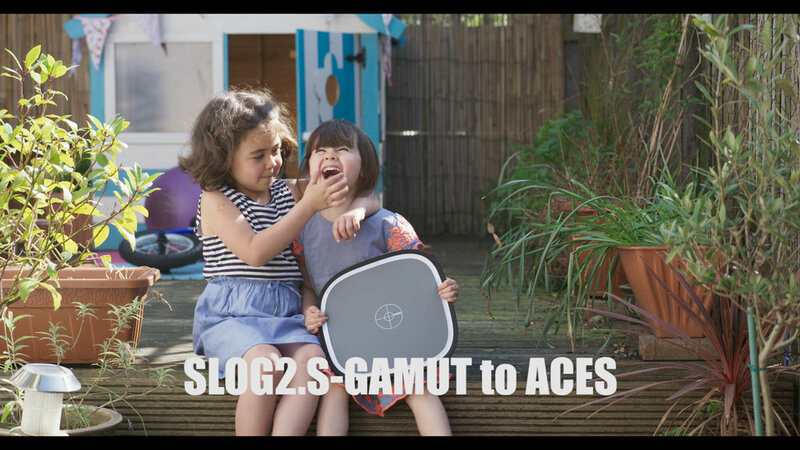 I did notice that Slog2 to Arri and ACES is ever so slightly different to Slog3. Look at the green in the plants on the left. Still a completely acceptable match though!